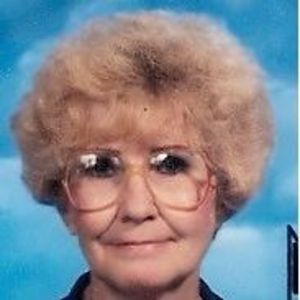 DRAKESBORO - Orena Bates Johnson, 74, of Drakesboro, died Tuesday, July 24, 2012 at 4:40AM at Regional Medical Center. Mrs. Johnson was born December 23, 1937 in Greenville, KY in Muhlenberg County. She was the daughter of the late Jess and Goldie May Bates. She was School Paraeducator Instructor for 37 years at Drakesboro High School, and was a Christian of the Baptist faith. She was preceded in death by her son, Jeffrey Neal Johnson; and sister Imogene McGinley Proctor. Survivors include her nieces, Pattie Knight of Beechmont and Vicki Woodruff of Beech Creek; and great-nieces Makenzie and Victoria Knight of Beechmont. Funeral services will be Friday, July 27, 2012 at 11:00AM at Tucker Beechmont Funeral Home, with Rev. Tom Stovall officiating. Burial in Rose Hill Cemetery. Visitation will be Thursday after 5:00PM at the funeral home. Online condolences may be made at www.tuckerfuneralhomes.com. The beautiful and interactive Eternal Tribute tells Orena's life story the way it deserves to be told in words, pictures and video. Tootsie will be missed. We have many happy memories with her that we will cherish. May God bless you in the loss of a beautiful lady. Sorry to here sad news about Tootsie. She was a fine lady. I know at this time there are no words that can take away your grief and sorrows. Just keep her loving memories close at hand. God bless and be with all concerned. I miss you already, and I miss Jeffrey. I wish both of you were still here. I know you'll be fine in heaven, but it doesn't make the pain of your loss any easier. I love you. I was so sorry to hear of her death. I know you will miss her. ORENA ALWAYS WAS A FRIEND OF THE KNIGHT FAMILY SHE WAS THE DRAKESBORO CITY CLERK FOR SERVERAL YEARS ORENA AND HER MOM CAME TO OUR HOUSE EVERYDAY WHEN SHE WAS A YOUNG GIRL SHE COULD MAKE LAUGH SHE LOVE HER SON DEARLY NOW SHE IS WITH HER SON IN HEAVEN.SHE WILL BE MISS BUT WILL ALWAYS BE IN OUR MEMORY ALL I CAN SAY IS SHE WAS A GREAT LADY.REST IN PEACE UNTIL WEE ALL MEET AGAIN IN HEAVEN.